The job of a superintendent is filled with responsibility. Become a valued resource for the superintendents in your target audience when you invest in this verified superintendent email database. Use our premier contact information to develop strong sales leads for your business. The task list of a superintendent is made up of decisions that can affect numerous departments under their purview. 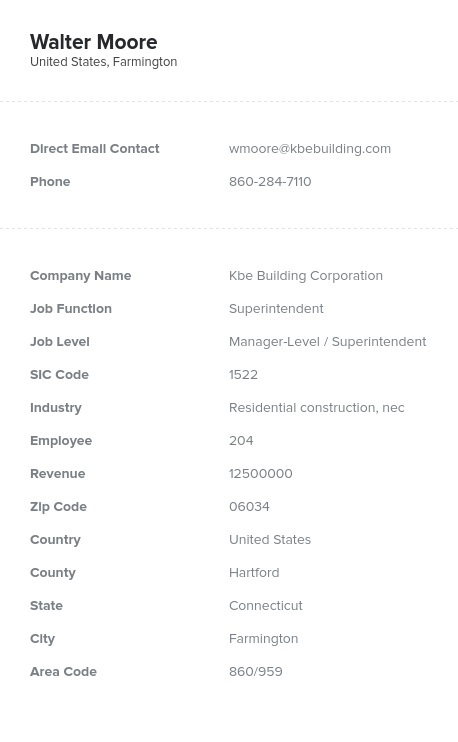 A superintendent mailing list from Bookyourdata.com can be the business database you use to get your company's products in front of this important target audience. We offer B2B email lists that are accurate and comprehensive, and when you buy this superintendent email list, you will get your own valuable business mailing list in just minutes! A superintendent has to balance the needs of several different groups to make final decisions. That is why a good superintendent relies on good resources as part of their decision-making process. Your company can become one of those resources when you invest in this pre-built, targeted superintendent email database. We give you accurate contact information you can use to make lucrative business connections. We invite you to use our list-builder tool to extract information from our superintendent email list to develop focused, customized business lists of your own. You can break your superintendent mailing list down by geographic region or by any other criteria you desire. We are the only resource you need for a human-verified and comprehensive superintendent email database that will help your business grow!